Getting customers to purchase a product is no small task. Consumers need to understand a brand or product, what it does, what it stands for and how it will improve their lives. Avante’s digital wall POP displays with integrated multimedia players are perfect for telling a brand’s story and showing the great benefits and features of your product. Studies have shown that digital wall POP signage provides more than ten times the eye-capture of conventional signage! Digital wall POP Signage is a growing phenomenon in all marketplaces where digital point-of-sale information has replaced traditional marketing materials. Our digital wall pop displays feature high quality LCD panels with built in speakers and a motion sensor making them ideal for retail display applications. Avante POP Displays provides 100% plug-and-play custom digital wall POP display solutions, which leading retailers use to deliver messaging to their customers where it matters most: right at the point-of-purchase. By using interactive features such as video, multimedia or even touch screen you can tell your brand’s story quickly and efficiently so you can leave an emotional impact on your potential customers before they walk out the door. Digital wall point of purchase displays can include attractive features such as motion sensors to play music or speak to customers as they walk by. This entices them to stop, listen to your message and watch the video; giving you the chance to show how your product can enhance their lives. These displays can also be mounted on a countertop or other configurations to match your needs. 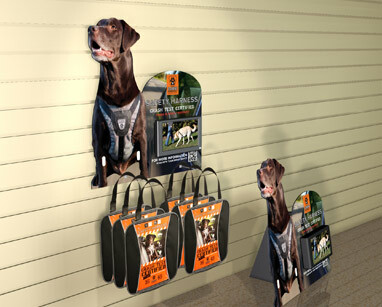 Our displays have been designed to carry product, or just portray your brand messaging through the interactive player. 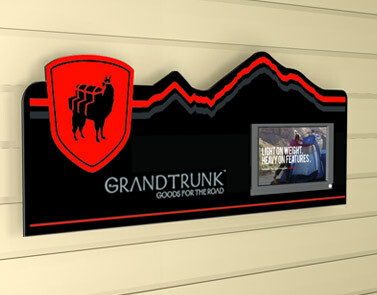 Custom 3D Die Cut Profile Advertising Signs Portray Your Brand. Advertising players are not the only benefit of using wall POP displays; they can include uniquely crafted 3-D images of your logo to clearly identify your brand. The 3D Logo captures attention, then the multimedia message uses video to convey complex ideas in a simple, quick message. Avante’s expertise working with digital signage and multimedia ensures your digital wall POP display accurately and persuasively conveys your message. With experienced manufacturers and designers working on staff, custom profile or shaping signs are completed effortlessly. Avante has years of experience delivering multimedia media players and POP Displays. Now we are fully integrated these two in an attractive wall unit. The impact is stunning! Our wall POP displays offer a unique and proven anchoring system to be sure your multimedia player is not stolen. This had proven to be a drawback to introduction of these units, but we have solved the problem. Avante ships your multimedia players directly to the store, which minimizes wait time. We deliver and assemble your advertising player, logo and 3-D profile all in one package for your piece of mind. As a direct importer of the displays, you can be confident in getting the best price. New to multimedia displays? We can show you how to use your video and mount it safely so you get maximum impact at minimum investment from your point of purchase display. Wall presentations are secured safely on walls or countertops through an anchoring system. You also can receive the following as optional services to save you time and money on your next promotion. Call an Avante representative today and see how your company can benefit from state of the art wall POP Displays with Integrated Multimedia Signage. By creating a whole package that tells the story of your brand, customers will be attracted to your product and want to know more.